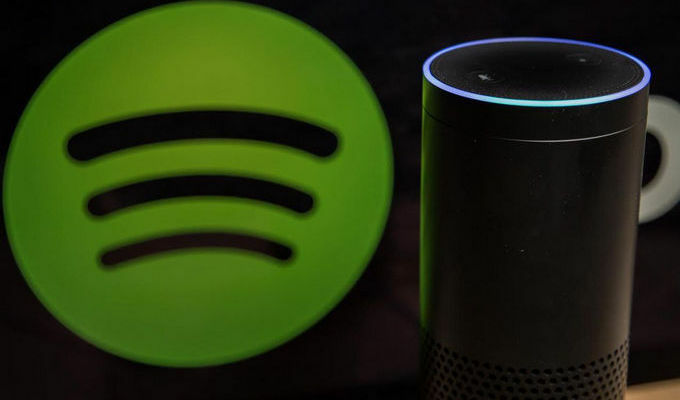 Spotify streaming services subscribers are allowed to connect Spotify account to the Amazon Echo devices and tell Alexa to play anything on Spotify. And the new users also receive a one-month free trial which enables users access the music service fully and test the Amazon Echo devices. And here we will introduce the best 2 ways to play Spotify music or playlists on Amazon Echo. Step 1: Connect Amazon Echo device to Amazon Alexa app. You can download Amazon Alexa app from Apple Store or Google Play then register it to connect it to Amazon Echo speaker. Step 2: Link Spotify account to Amazon Alexa. Simply run Amazon Alexa app on your phone or tablet, then tap Setting link from the left side of the screen and tap the Music & Media section. 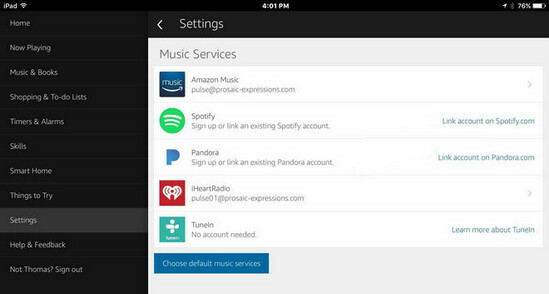 A screen displaying the music services including Spotify will show up, you can tap the "Link Account on Spotify.com" option. A screen "Connect Alexa to your Spotify Account" will show as displayed. Click "Log in to Spotify" green button and enter your user name and password if you have Spotify account. Then a page will show up displaying "Your Spotify account has been linked successfully". Step 3: Play Spotify music or playlist on Amazon Echo. 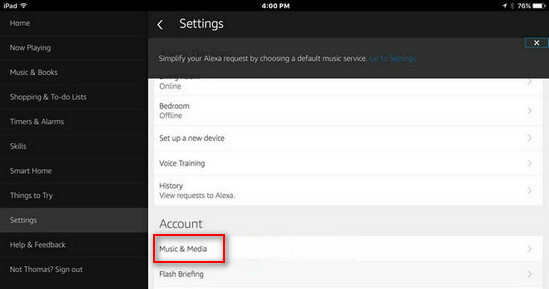 You can set Spotify Music app as the default music player on Alexa if necessary. And now you can ask Alexa to play anything on Spotify by using voice commands. Linking Spotify to Amazon Echo speaker only works for Spotify premium users and a month free trial, and Spotify music are DRM protected to prevent us streaming them on other music player for playback. Here we introduce a way on how to transfer Spotify music or playlists from computer to Amazon Music for playback on Amazon Echo directly. 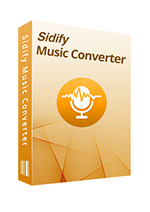 It is very easy to operate and all you need to do is removing DRM protection from Spotify music legally with the most professional Spotify music converter - Sidify Music Converter for Spotify, then you can upload the Spotify music to Amazon easily. Step 1. Add Spotify Music or Playlists to Sidify. 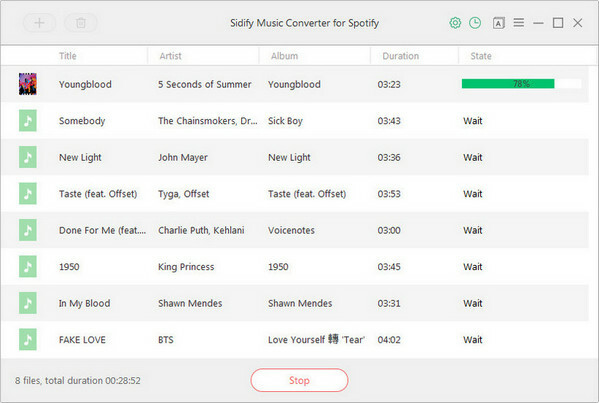 Launch Sidify Music Converter for Spotify on PC after installation, and click icon or "Click Here to Add Audio" to add Spotify music or playlists you want to convert. 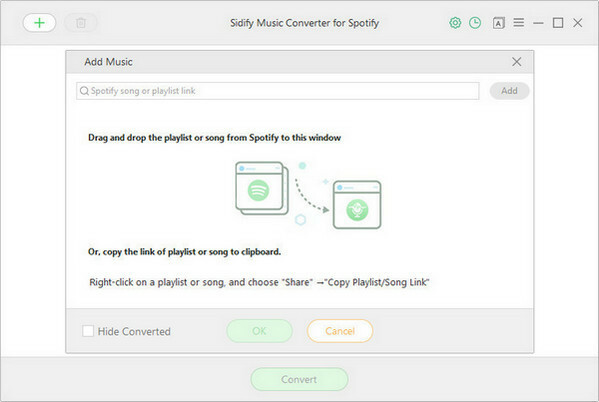 Drag and drop music file or playlist from Spotify to Sidify is also permitted. Then press "OK" to finish importing Spotify music. Click button to change the parameters like output format, output quality and conversion mode. Here you can choose format as MP3, AAC, FLAC or WAV and choose the output quality up to 320 kbps. 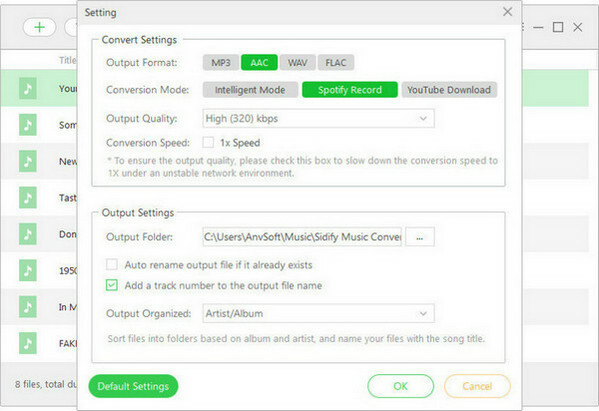 Press the "Convert" button to start removing DRM and downloading Spotify music to plain format you choose. After finishing conversion, you can click button to find the converted music files. Step 1: Run Amazon Music app. Run Amazon Music app on your computer and log in your ID, then drag and drop files from computer into the Upload selection. Step 2: Start uploading the converted Spotify music to Amazon. Click My Music > Songs > choose Offline filter and click the upload icon to choose the converted Spotify Music files or folder to upload. Now, you can stream Spotify music or playlits on Amazon Echo without Spotify Premium. Highly compatible with the latest Spotify and Mac/ Windows OS.